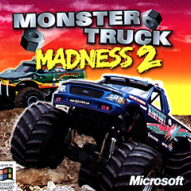 I've found a few mods on the RoR Forums that can possibly add to your RoR Monster Truck Experience. Both of these mods work in .38, however they DO NOT work in .37 (Yes, That Statement just made this thread pointless to most of you), But with the thought of transitioning to a newer version still being discussed, I thought I would bring these up. I did not create this mods, nor do I own any parts on them. I've used this Loader for truck recovery, and posing for pictures in Pit Parties. Note, our trucks are a little bit heavy for the loader, but I have brought trucks back onto their wheels. This is the closest thing to the Speedsters used in #MOREMONSTERJAM that I've found. Should be able to reskin them to the truck of your choosing, But I personally think it needs to be remapped. If you find any other mods, feel free to post them! Good point but then again, moving them around is a hassle. steiale, that sounds so cool about the loader but could you maybe post a direct mediafire download link or whichever download link. The RoR Repository is under maintenance. Yes, the site is being transferred to it's new owner. So it's safe to assume that's why when I press Update under Network nothing comes, up correct? You mean from the once well-known official repository.